We recently did a big project for the brand new Superette Shop in Ottawa, Ontario. We did the backlit menu boards, light boxes,wall vinyl mural,security film windows,front window frosting,front window graphics, "express" hanging light box,posters and finally the photo frames. Here a few pictures from the internet showing our work in their new location. The store looks great guys! We produced and installed these light boxes at Tokyo Smoke locations across Canada. The light boxes are hung by cables to the ceiling and are made up of a double sided fabric, Uv sublimated dimmable LED light and box powder coated black frames. We printed and installed this plynth box+fabric banner for Herschel at Te Koop in Toronto. Check out this fancy window display we printed and installed for Herschel at The Boardroom on West 4th. 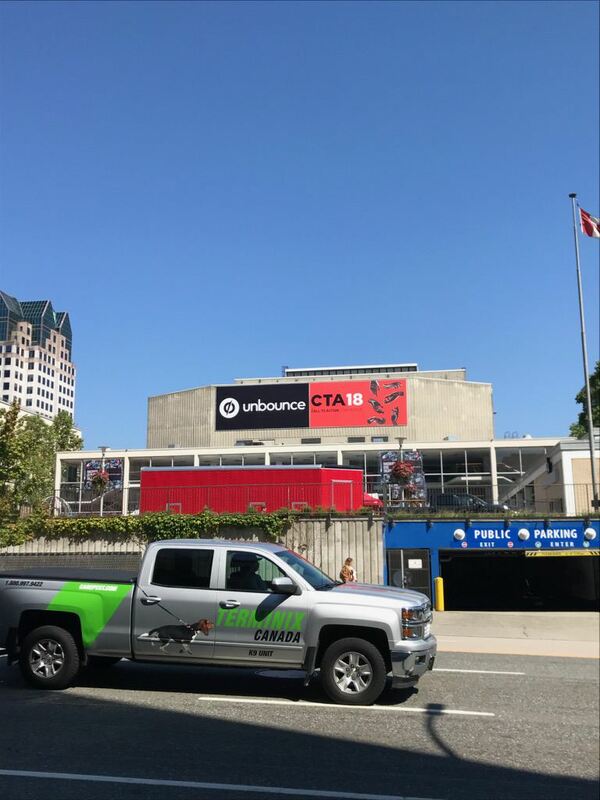 We did a ton of print and install for the Call To Action Conference that took place Aug. 27th-29th right here in Vancouver. It was put on by Unbounce at Queen Elizabeth Theatre. We did everything from the huge outdoor sign to media walls to retractable banners all the way to banners and signs you would have seen throughout the conference inside the theatre.